The Geneva Raglan is a T-shirt with full-length raglan sleeves and a fitted design. The shirt has a crew neck and short darts at the shoulders. 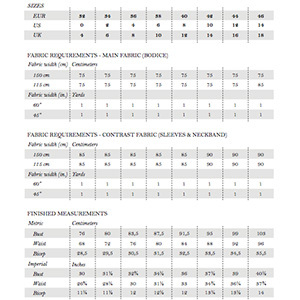 Suggested fabrics are knit fabrics with good stretch (at least 30%) such as cotton jersey, cotton lycra, jersey rayon or ponte de roma.